The exact locations has yet to be set in stone, but it’s expected that some of them will be set up in Dublin, Kildare and Limerick. 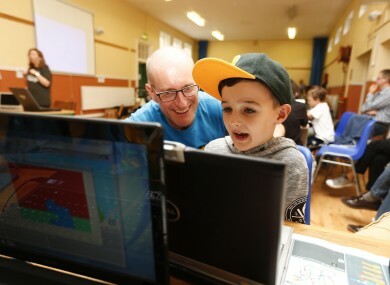 TEN NEW CODERDOJO clubs will be set up across Ireland over the next twelve months, bringing the expected number of new clubs to open up to 36. The announcement, which was part of the second EU Code Week, is being done in partnership with UPC. The locations of the new clubs hasn’t been officially confirmed yet, but it’s believed that some of them will be set up in Dublin, Kildare and Limerick. Commenting on the announcement, the Global CEO of CoderDojo said that coding knowhow is becoming an important skill for young people in life, regardless of whether they use it for a future job or not. Being able to code is almost like having a superpower and EU Code Week offers us the opportunity to make coding more visible not only amongst the children themselves, but also among parents, teachers, people in technology and the general public. CoderDojo has more than 140 Dojos located across the island. The volunteer-led initiative, which teaches kids between 7 and 17 how to code, develop websites and apps, was founded by James Whelton and Bill Liao in June 2011. Currently there are now more than 528 Dojos in 48 countries, with an average of two to three clubs being launched each month. The announcement was part of UPC’s involvement with the European Commission’s Grand Coalition for Digital Jobs, an initiative which plans to respond to the shortage of workers in the digital sector. It’s believed that roughly 7,000 such positions remain unfilled in Ireland. Email “Ten more CoderDojo clubs are to be set up over next twelve months”. Feedback on “Ten more CoderDojo clubs are to be set up over next twelve months”.